I compete. Will SCENAR help my horse? SCENAR is used by athletes around the world to keep them in top condition. It will benefit the horse before and after competition. Will I need to give my horse time off after treatment? The recommendation is to give the horse 1-2 days off. While this is a general guideline, every horse will react differently and there will be a need to assess the horse regularly to monitor recovery time. There are pre competition treatments that can be done immediately prior to your horse being ridden. Will my horse enjoy SCENAR treatment? Every horse is different. Many will close their eyes, yawn, chew or lick; all signs of relaxation. Muscles too will relax. Can my horse benefit from SCENAR even if there is nothing wrong? Yes, SCENAR helps to correct any acute and chronic problems the horse may have. It is also a great way to prevent such issues from developing. My horse has to have box rest, would he benefit from SCENAR? Will my horse react after his/her treatment? All horses are individual, however it is possible the horse will feel energetic and playful or sometimes, can be a little tired after treatment; perhaps drinking a lot, urinating more and some are a little stiff. What conditions has SCENAR helped with horses? Which conditions has SCENAR helped with horse riders? Do I need training to treat my horse with a Personal SCENAR device? The Personal SCENAR devices include a comprehensive Equine User’s Manual and on-line training. In addition we offer live seminars, webinars and a forum to our clients to advance their knowledge in Equine SCENAR Therapy. What training do I need if I purchase a Professional SCENAR Package? Professional devices are suitable for Equine practitioners who would like to add this amazing technology to their services. The Professional package include 3 days live seminar, comprehensive Equine User’s Manual and online training. We also offer webinars and advance trainings for Practitioners. Does the SCENAR need special maintenance or calibration? SCENAR devices do not need maintenance or calibration. Clean the device with alcohol wipes before and after each treatment. Do I have to know horse anatomy so that I can treat my horse with a personal SCENAR device? Professional Equine users need to have understanding of horse anatomy and physiology to be more successful in SCENAR treatments. How long and how often I should treat with SCENAR? Depending on the horse condition treatments may last from 5min to 30-40min. For chronic problems the treatment usually takes a bit longer. Acute pains are treated for 5-15 min. SCENAR is a bio-interactive TENS technology that delivers a specially shaped, ever changing electrical signal to the patient. SCENAR is very different from the conventional TENS machines used in the Equine Industry because its impulses are dynamic – they change according to the reaction of the skin to the signal, thus provide individualized treatment. This unique function makes the technology safe and extremely effective. SCENAR technology has been researched and used on humans and animals for the past 35 years. What is a ULM Blanket? The ULM blanket is a therapeutic device that protects the user form external electromagnetic fields and regulates the energy flow of the patient. It is an excellent complimentary to SCENAR therapy. What is the warranty period of SCENAR devices? The warranty period of all SCEAR devices is 2 years. RITM Australia is the branch office of the Russian Manufacturer and is a fully licensed service centre. Warranty and non-warranty repairs are done in the Sydney office and the turnaround time is 1-2 days. Is RITM SCENAR the original SCENAR technology? Yes. RITM SCENAR device and manufactured by the originator of SCENAR technology – RITM OKB ZAO, Russia. Our devices are 100% made in Russia. 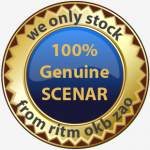 We are the Asia-Pacific office of RITM OKB ZAO - the originator and patent holder of the genuine SCENAR technology. © Copyright. RITM Australia 2007-2016. All rights reserved.